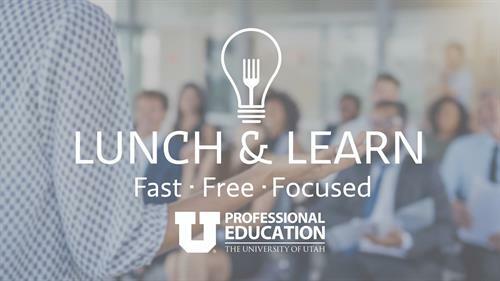 Come hear from one of Professional Education's Microsoft Certified instructors, Staci Warne, on what it takes to get the most out of your workday with the help of Outlook. Staci obtained her MCT certification in 2008 and holds an array of other certifications such as Microsoft Certified Professional (MCP) and Microsoft Office master Instructor, and Ic3 Internet and Core computer instructor certifications. She has become a Google Partner and obtained her GAIQ, Google Analytics Certification in 2015. She has also partnered with Microsoft to be a reseller of cloud subscriptions. She has been a Financial Analyst and a lead technology trainer for the Federal Reserve Bank of San Francisco as well as a lead technology trainer at CompUSA. Participants' will explore the basic fundamentals of managing one's time effectively and how this relates to using the time saving functions in outlook. Learn what it takes to get the most out of your workday with the help of Outlook.